I had such an amazinnnnng time at this festival this weekend!! I wish I was one of those people who remembered things said at the panels, but I am not. I show up, listen, and enjoy it. But! I can recap with pictures!! (Which I will show you below. **Update: All pics are lost. ) All the authors were brilliant and funny and gracious. Thanks to all the volunteers! You guys worked so hard and we all appreciate it. We got there Friday night so that we could attend the Nick and Norah’s Infinite Playlist with David Levithan Q&A. This event alone was worth it. I love this book and this movie and David. I want to watch all my movies with an author Q&A at the end from now on. Saturday was the actual ATBF event. Scott Westerfeld was the Key Note Speaker. He was fantastic!! The first panel I attended was ALTERNAWORLDS, which was comprised by Brian Yansky (Alien Invasion), Jonathan Maberry (Rot & Ruin), Scott Westerfeld (Uglies), and Maureen Johnson (The Name of the Star). It was moderated by Rosemary Clement-Moore (Texas Gothic). The other panel I attended was REAL LIFE IS MESSY. This one included Melissa Walker (Small Town Sinners), John Corey Whaley (Where Things Come Back), David Levithan (Every You, Every Me), Coe Booth (Bronxwood), and Geoff Herbach (Stupid Fast), and it was moderated by Varian Johnson (Saving Maddie). I did get to listen to the last half of I HEART LOVE STORIES panel, which included Jennifer Ziegler (Sass & Serendipity), Jenny Han (The Summer I Turned Pretty), Christina Mandelski (The Sweetest Thing), Stephanie Perkins (Lola & the Boy Next Door), and Simone Elkeles (Perfect Chemistry). It was moderated by Cristina Garcia (Dreams of Significant Girls). Most of the day I hung out with my road trip buddy, Lety, Ginger of GReads!, Lena of Addicted 2 Novels, and Sarah of Storybound Girl…I had the BEST time with them! They get me…which is best if you’re spending 8 hours with me, LOL! I also got to see lots of other Texas Bloggers which is always fun. :) Sushi A-Go-Go was where we had lunch. There was a lot of people there!! People buying books, and people standing in line to get books signed. And finally, here is my ATBF haul! The stack on the left are the books I brought from home, and the ones on the right are the ones I bought there. They’re all signed!! And that’s all folks!! It was exhausting but fun, and I can’t wait to do it again next year! 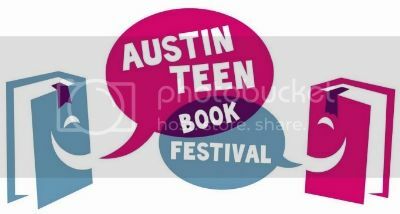 Check out some videos from the event over at the YouTube AustinTBF channel! Wow what a great list of authors. Looks like you had an amazing time. Wish St Louis would host one of these festivals. Thanks so much for sharing your experience. I had soooo much fun hanging out with you. And that sushi was really good, but not 1 hour good, lol. We seriously need to start hanging out more because the weekend wasn’t long enough. SO happy you guys got to come up! Great pic of us too! It looks like you girls had so much fun! 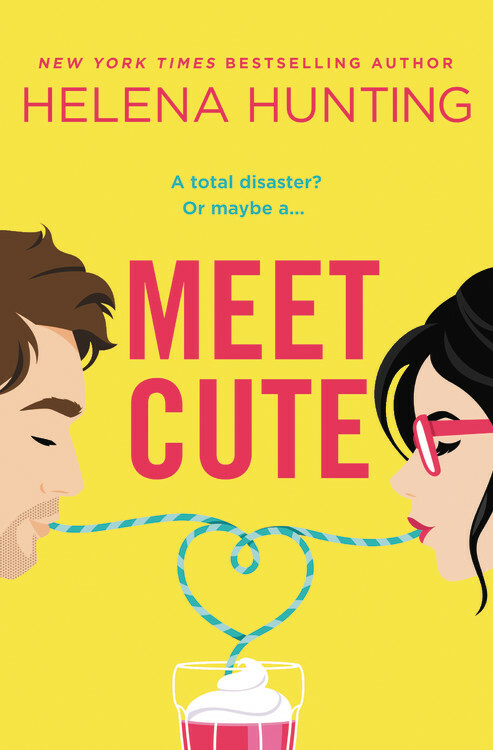 I would have loved to see Nick & Norah and meet all of those awesome authors! Jealous! I wish I lived a bit closer or had known about this more in advance. I SO would have gone! Looks like you guys had an amazing time! :) Love the pictures and OMG on the signed books!! Awesome. Looked like so much fun. Glad you had people to road trip with. Need to find me some.